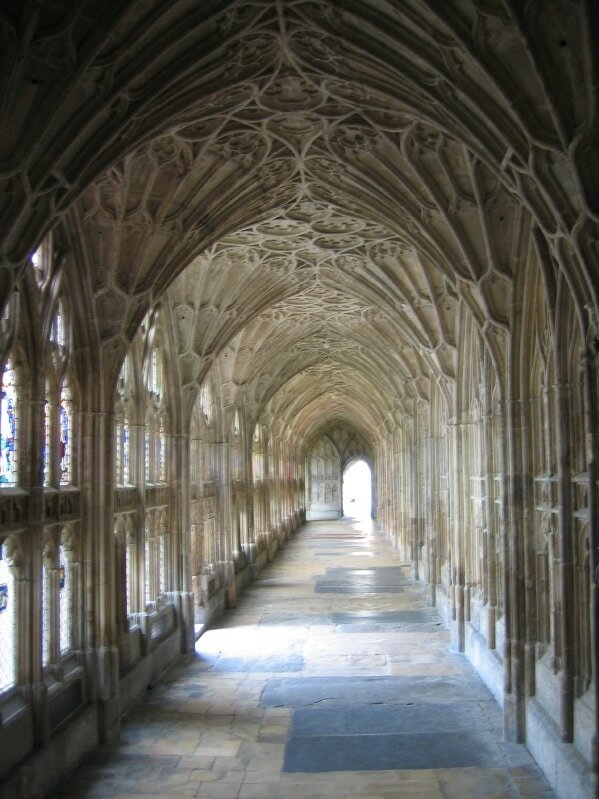 Symphony No.1 was composed in Cheltenham, Gloucestershire, in response to the news that vandals had broken the medieval stained glass windows of Gloucester Cathedral. I wanted to turn a 'destructive act into a creative one!'. It begins with a simple motif on clarinet solo that represents both early Gloucester man and the first stone that breaks the cathedral's window. The development of the symphony is a journey through the modern city, or through the land now occupied by the city. But it is also a journey through time, from Glevum (the Roman garrison) to today’s Gloucester City with its frenetic traffic and busy streets. The assault on the Cathedral (the main focus and spiritual heart of the city) was the main inspiration for the work. The ‘Cathedral theme’ appears several times as big, uplifting parallel chords, whilst the River Severn flows steadily onwards flooding its banks at times. The hand bells ring out at the very end of the piece with a 6th Century chant known as Christe Redemptor Omnium, which was heard every day in times gone by played on the cathedral bells a by mechanical device . ​In four movements. Duration 52 minutes - dedicated to Gloucester Cathedral. I began the second Symphony whilst attending the University of East Anglia in Norwich, where I was studying music education. It was finally completed at home in Cheltenham. 'The Cheltenham Symphony' speaks of Cheltenham during the Second World War when it was bombed by the German airforce. 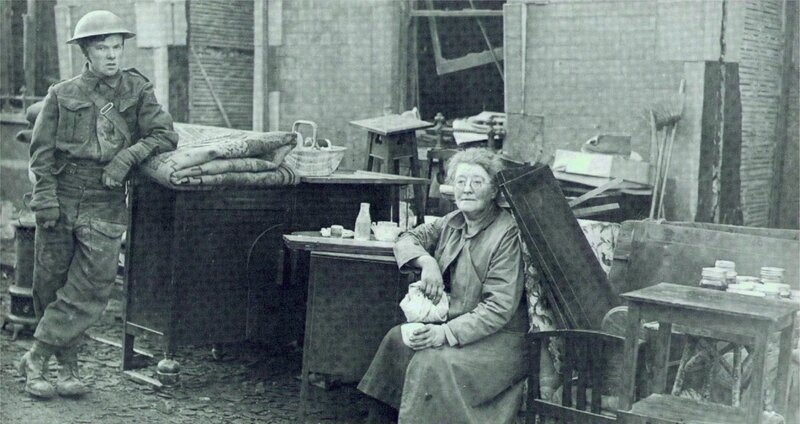 The black and white newspaper photograph that partly inspired the work shows a lady whose home had just been destroyed by a random bomb. Even though the theme of the symphony is 'triumph over adversity' there are lighter moments, such as a comical braying donkey and a runaway (Toddington) train. ​A mini score is available. ​In three movements - dedicated to Nigel Jones. Duration 42 mins.